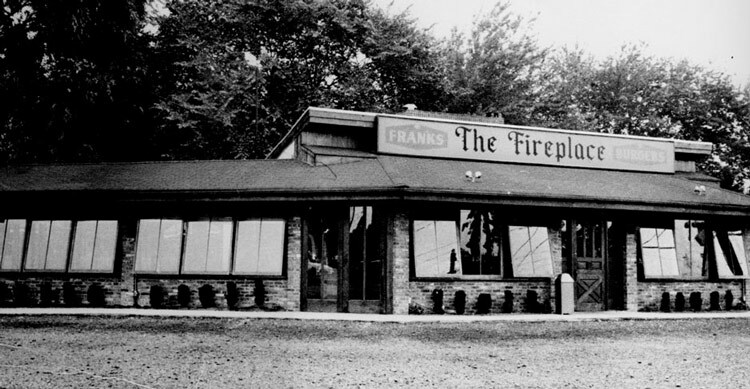 The Fireplace Restaurant in Paramus, NJ has been serving up breakfast, lunch, dinner and the best burgers in Bergen County since 1956. The late Frank Reilly, a Navy vet turned FBI agent, opened a hot dog and hamburger stand in 1956, hiring other agents and their sons to help him. His son Patrick, who runs The Fireplace now, said Reilly soon bought out homeowners adjacent to his fledgling restaurant and built additions and the ample parking lot that surrounds The Fireplace today. It is clear Patrick’s father ran a tight ship. And if you grew up in Bergen County, and have never been to The Fireplace, you are probably in the minority. Today, with its wood-paneled interior and wagon-wheel chandeliers, The Fireplace still evokes the 1950s. The art work reflects Frank Reilly’s interest in history. A model train was added to the décor about 20 years ago and children (and sometimes adults) can push a button and blow its whistle. Patrick said the trains have to be replaced every couple of months because they wear out from constant use. It’s so well-known in the area that bus drivers call out “The Fireplace” as a stop on Route 17 instead of Ridgewood Avenue. There are homemade soups and three or four salads on the menu, but at dinner time on a recent Monday night, it was clearly a place for people who wanted a quick dinner –usually a sandwich and fries– before they went on about their business. Men in three-piece suits lined up with families and single diners in jeans and polo shirts for a spot at the long wooden counter where you place your order and await your food. Wooden tables designed for parties of one, two, three, six and eight or more awaited diners in two separate downstairs dining areas and an upstairs area, considerably smaller, serving only pizza and calzone. The Fireplace serves breakfast, lunch and dinner. The busiest hour, Patrick said, is between 12 and 1 p.m. Many of the restaurant’s 40 employees have been there since Patrick’s father ran the business, including a manager with 40 years of service. From the beginning, the goal was to offer customers quality food at reasonable prices with quick service. After many decades and several additions, the restaurant has grown into a full service restaurant offering something for everyone. The restaurant has become a staple for locals as well as travelers of Route 17. Frequently those who have left the Bergen area return to say, “It tastes as good as I remember”. Some of our customers have been visiting the Fireplace for over 40 years! Many have shared their stories and family pictures with us via social media. Won’t you share yours? Click here to see nostalgic pictures and to keep up to date with what’s happening at The Fireplace Restaurant on Facebook. © 2017 The Fireplace. All rights reserved.